OK, so it actually gets less confusing. DISH has always had a strong relationship with a company called EchoStar. 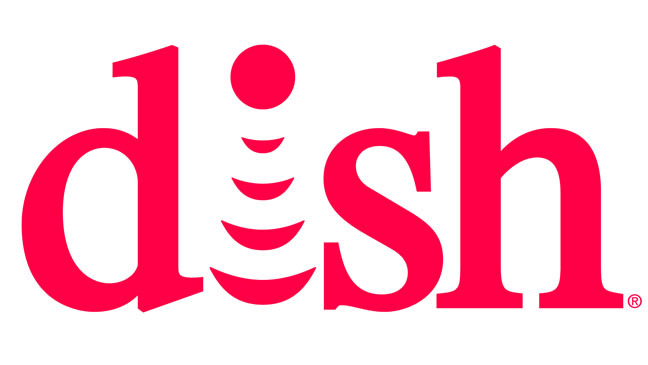 In fact DISH was once part of the EchoStar family, until it was spun off in 2008. At that time, the theory was that EchoStar would own and operate the infrastructure, build the hardware (which would be labeled DISH) and DISH would provide the service end of things. Except it was never as simple as that. DISH and EchoStar remained cousins, owned by many of the same people, and tied together in very confusing ways. EchoStar owns Sling Media who provide the streaming and offloading technology in Hopper DVRs, and EchoStar also owns and operates DISH’s broadcast centers. And then just to mess with your head, in 2011 EchoStar acquired Hughes Communications which used to own DIRECTV before that company was spun off. Hughes also manufactured some satellite receivers for several providers including one of the first TiVo DVRs. But of course all that went out the window when EchoStar bought Hughes, and split the retail products group and spun it off to DISH who absorbed it. To make things “just a little” more confusing, it was technicaly EchoStar, not DISH, who owned the majority of the Sling TV service, although DISH was a minority holder. The AirTV box made specifically to use the Sling TV service is marketed by DISH and carries a DISH name and is manufactured by EchoStar. In a statement issued yesterday, it looks like EchoStar is transferring pretty much everything DISH uses to make their service work to DISH, and in exchange the former Hughes Retail Group assets will become part of EchoStar. This means primarily the satellite internet service known as HughesNet. DISH gets its broadcast centers and control of ground-based operations, but EchoStar keeps the satellites. And, Sling TV goes to DISH lock stock and barrel which is probably what should have happened in the first place. If this all seems like too much to think about, just think of DISH and EchoStar as sister companies, tied closely together. One man — DISH Chair Charles Ergen — controls the the voting power in both companies, so what’s really happening here is that he’s shuffling things around in a way that makes sense to him. In this case (unlike other cases) it makes sense to me too. All in all, this probably won’t mean anything to the world of streaming or satellite TV, but it’s fun to talk about just because it’s just so messed up. I mean, it’s gotten better, but EchoStar still owns satellites used for DISH exclusively, and controls manufacturing contracts for equipment that has a DISH label on it. Otherwise though everything looks like it makes good sense. ENGLEWOOD, Colo.–(BUSINESS WIRE)– DISH Network Corporation and EchoStar Corporation today announced they have executed an agreement that will transfer certain EchoStar assets and operations, including its EchoStar Technologies hardware and software development group, its national and regional uplink business, its managed fiber backhaul network serving all U.S. DMAs and its OTT development group to DISH in exchange for DISH’s 80 percent economic interest in Hughes Retail Group held in the form of a tracking stock. This transaction also transfers to DISH the 10 percent stake in Sling TV held by EchoStar, wireless spectrum licenses covering four markets in the 28 GHz band and certain real estate properties. DISH will continue to market satellite broadband under the brand dishNET to rural customers. The transaction is structured in a manner to be a tax-free exchange and is expected to close in the first quarter of 2017, subject to satisfaction or waiver of closing conditions.